UPDATED: Sat., July 28, 2018, 5:03 p.m.
VATICAN CITY – In a move seen as unprecedented, Pope Francis has effectively stripped U.S. prelate Theodore McCarrick of his cardinal’s title following allegations of sexual abuse, including one involving an 11-year-old boy. The Vatican announced Saturday that Francis ordered McCarrick to conduct a “life of prayer and penance” before a church trial is held. Another alleged victim, James, says McCarrick exposed himself to him when he was 11 and continued a sexually abusive relationship with him for more than two decades. 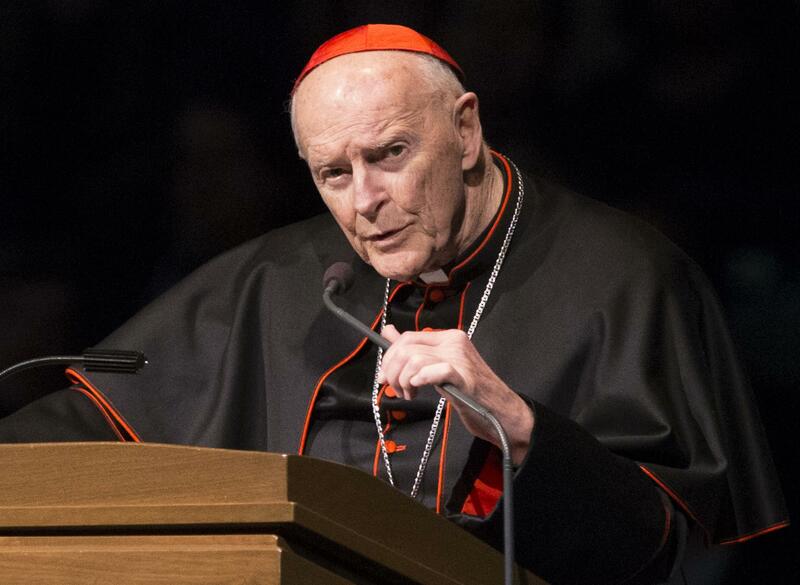 McCarrick has not responded publicly to these accusations. Published: July 28, 2018, 9:21 a.m. Updated: July 28, 2018, 5:03 p.m.